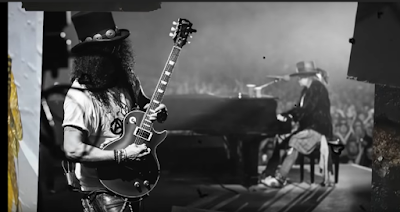 Guns N’ Roses are streaming live performance video of their 1991 classic, “November Rain”, from a November 14 show in Kuala Lumpur, Malaysia. The third single for “Use Your Illusion I” hit No. 3 on the Billboard Hot 100 while achieving the feat of being the longest song in history (at almost 9 minutes) to enter the US Top Ten. The group also live-streamed partial footage of the show’s finale of “Paradise City” from the Malaysian concert via Twitter. Guns N’ Roses continue their fall series of Not In This Lifetime shows this week with a pair of dates in Hong Kong and a stop in Abu Dhabi, UAE before hitting South Africa next week ahead of the final show of 2018 in Honolulu, HI on December 8. Slash featuring Myles Kennedy And The Conspirators will next be seen on a January 2019 tour of Japan, New Zealand and Australia before hitting the UK and Europe for shows starting in early February.